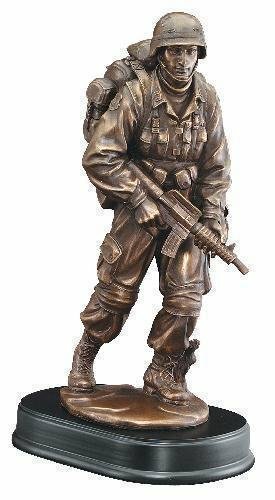 Our military awards include trophies and plaques specifically design for the men and women who bravely protect our country. 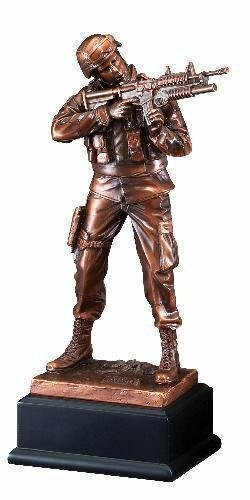 Our military awards are specifically designed for the Air Force, Army, Marines, National Guard and Navy. FREE Shipping on orders over $100. FREE Engraving. 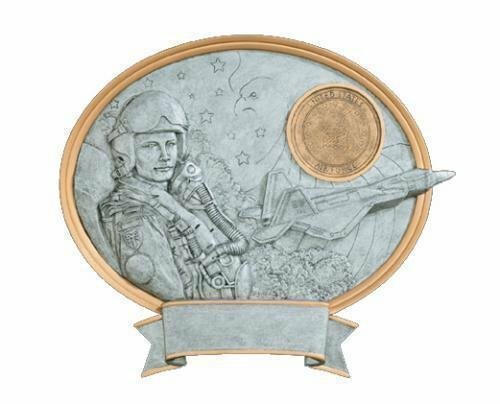 You have lots of choices with this Legend Air Coast Guard Award. The icons in the award are raised providing a 3-dimensional look. A Coast Guard in full gear is depicted while Coast Guard ship is in the background to complete the scene. 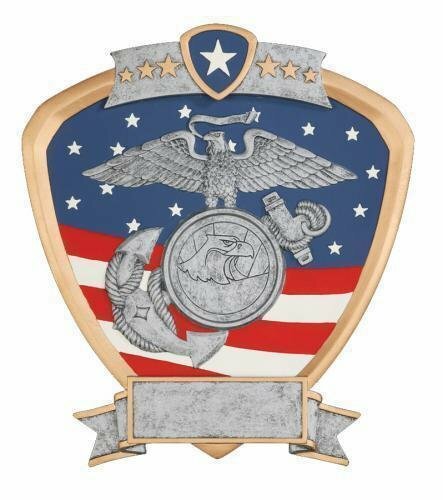 Additionally, you can also choose a 2" Mylar to highlight a specific achievement or that space can be left alone to show the Coast Guard insignia. 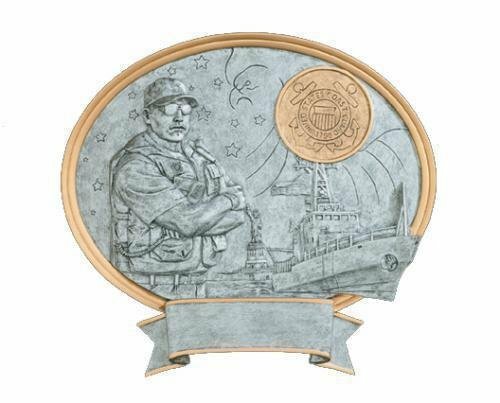 This oval award measures 8 1/2" X 8". 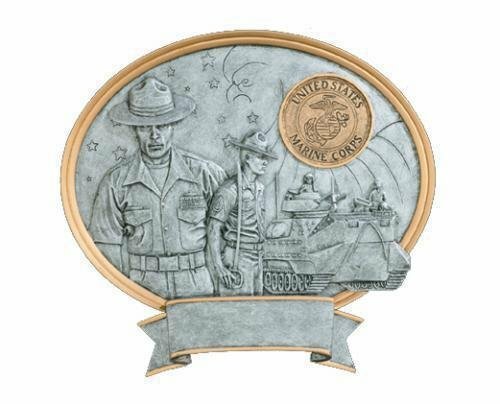 A large area at the bottom of the award can accommodate your personalization needs while the gold and pewter finish complement the look of the award. This item can either be hung on a wall or placed on a desk using the included stand. 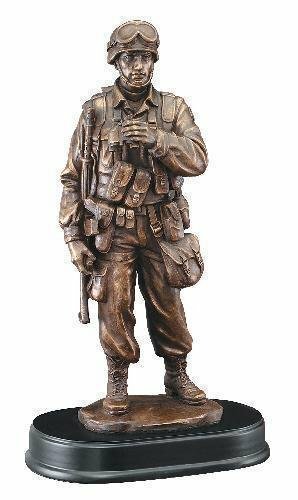 You have lots of choices with this Signature Series Army Shield Award. 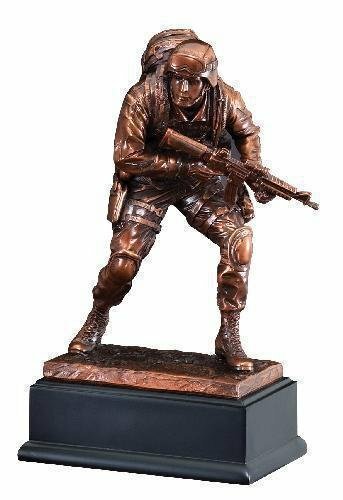 The Army icons in the award are raised providing a 3-dimensional look and are set in front of a full color USA flag to complete the scene. Additionally, you can also choose a 2" Mylar to highlight a specific achievement or that space can be left alone to show an eagle head. 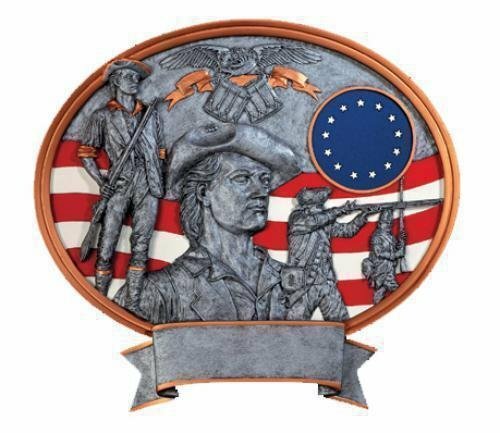 This shield award measures 8 1/2" X 8". 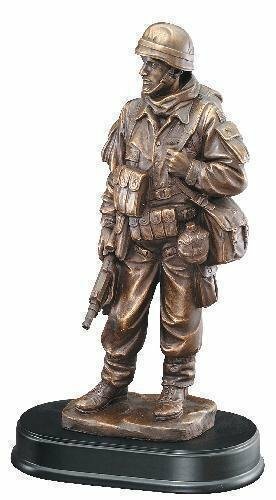 A large area at the bottom of the award can accommodate your personalization needs while the gold and pewter finish complement the look of the award. This item can either be hung on a wall or placed on a desk using the included stand. 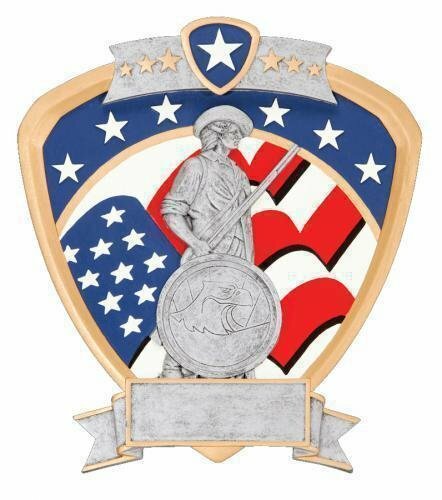 You have lots of choices with this Signature Series National Guard Shield Award. 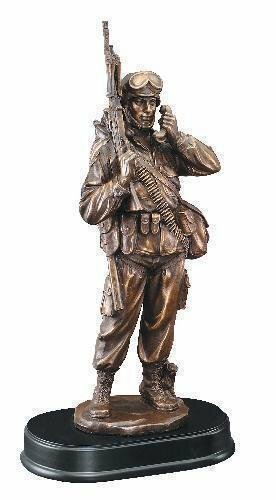 The National Guard icons in the award are raised providing a 3-dimensional look and are set in front of a full color USA flag to complete the scene. Additionally, you can also choose a 2" Mylar to highlight a specific achievement or that space can be left alone to show an eagle head. 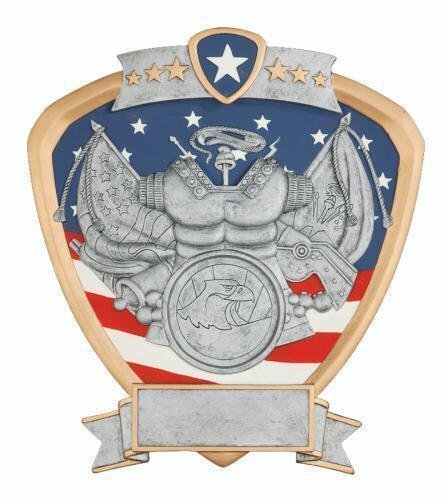 This shield award measures 8 1/2" X 8". 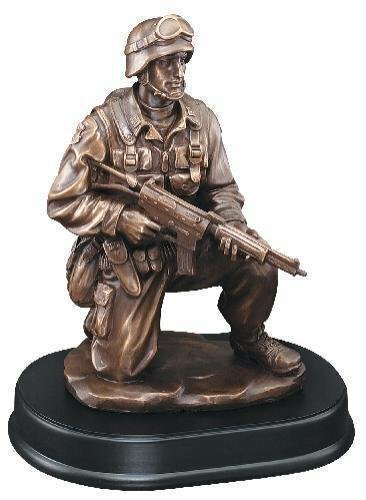 A large area at the bottom of the award can accommodate your personalization needs while the gold and pewter finish complement the look of the award. This item can either be hung on a wall or placed on a desk using the included stand.